"It's my favorite dish on a hot summer day." 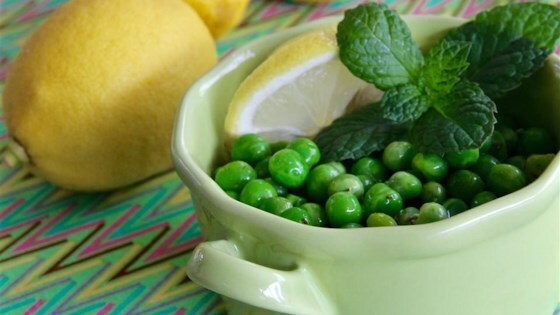 Mix peas, lemon juice, salt, and pepper together in a bowl. A refreshing salad! I, too, used thawed frozen peas and added some chopped mint for added flavor. Thanks for submitting this go-to recipe! Great basic recipe that is healthy! This is simple and fantastic. I used frozen peas, thawed, but uncooked. I found 1 1/2 cups of peas was plenty for three servings. I will make again.